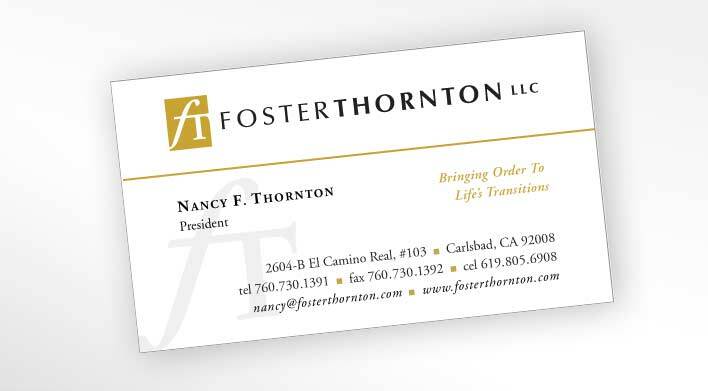 The Challenge: Our first site for Foster Thornton LLC was created in 2006 and the client had received a number of positive comments on the appearance and professionalism. 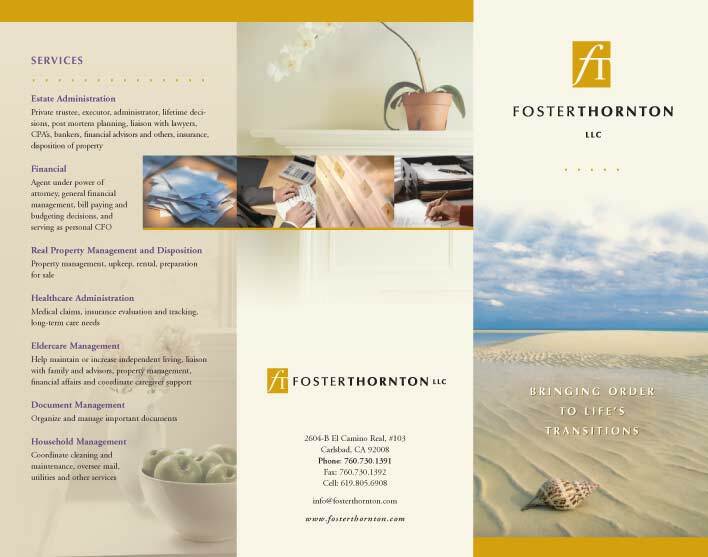 Much of this was due to the outstanding consulting and writing services provided by Leah Swearingen, a San Diego PR pro. 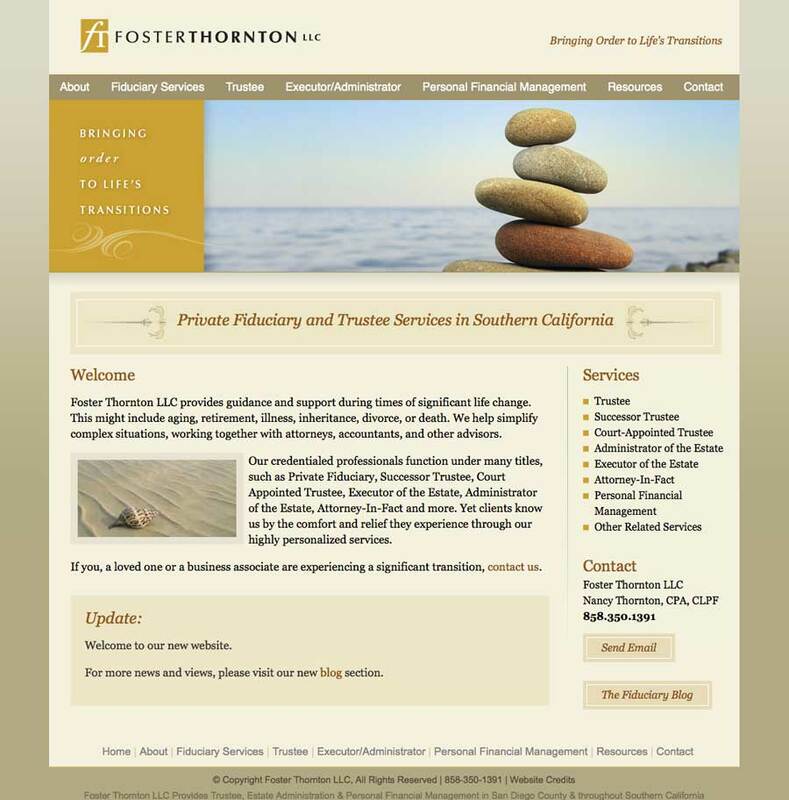 We particularly like one client story where the client was recommended by a lawyer along with several other fiduciaries… “The client looked at my website and decided she doesn’t want to even meet with anyone else.” Positive comments are great but also caused the team to want to figure out what elements of the old site design should be carried over to the new site. Screen sizes had changed a lot since 2006, so the site would need to look very different than the old one. 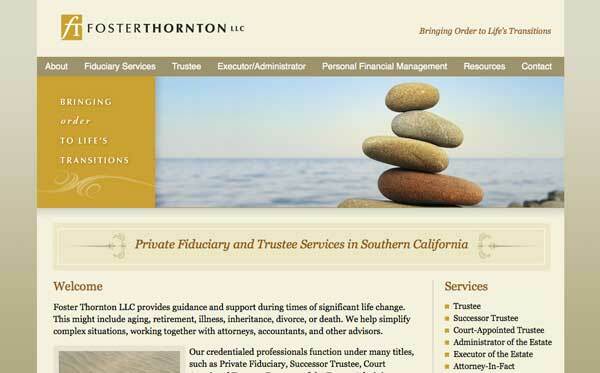 The Solution: Evolution Design provided a custom themed WordPress website and blog. Shades of beige, gold and brown were used, along with soothing stock imagery, to give visitors a sense of calm during the process of selecting a fiduciary. The logo, identity and brochure design that we had previously designed for the client was working well for them, so the new website design featured the logo prominently, along with a solid box of the mustard yellow logo color below.